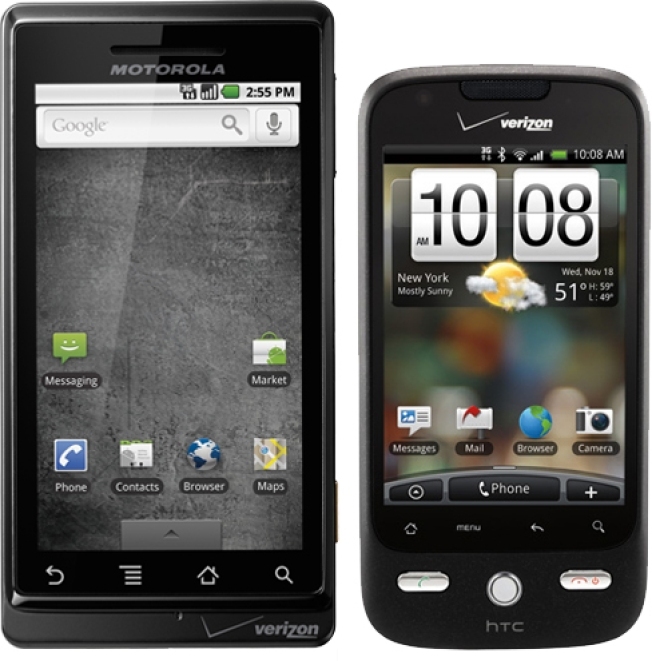 Verizon's two new phones will allow you to tether. 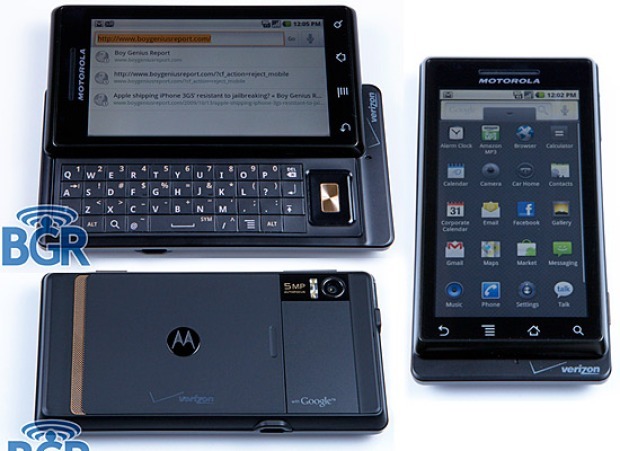 Friday is the day Verizon rolls out the formidable Motorola Droid, the most capable contender to the iPhone's king-of-the-hill status yet. Also along for the rollout ride is its lesser Droid mate, the HTC DROID Eris. iPhone haters will be happy to know that the shiny new Droids can be procured online or in stores without having to wait in line. Along with the big rollout, there's a bit of news: Verizon counters a belated iPhone promise with its own tethering at a semi-reasonable $30 a month, letting you use your cellphone to access the data network on your PC or other devices. UPDATE: But Verizon is also dithering on tethering, saying it won't be available until sometime next year. Sheesh. Why is this so hard? Tethering is great, but it ought to be offered for free on all 3G cellphones. I mean, aren't we paying enough?